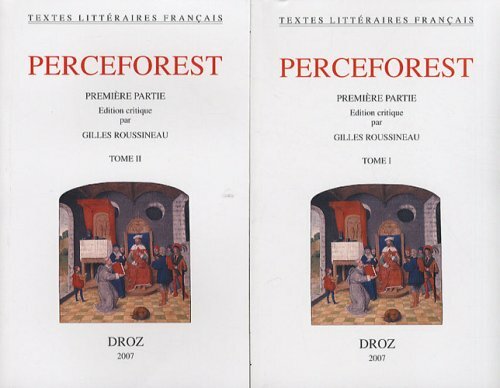 An anonymous composition, edited in its current form towards the end of the 15th century, the Roman de Perceforest is one of the greatest literary achievements of the Late Middle Ages. Divided in six parts, it tells of the adventures of the ancestors of Arthur and the Knights of the Round table, from Alexander the Great to King Betis, in England. This volume contains a critical edition of the text, accompanied by a literary and linguistic introduction, a large selection of variants, extensive notes, and a comprehensive glossary. French text.